Tracks in the Sand BW - Tracks in the sand in BW from some small animal or perhaps an insect. The gypsum sand at white sand new mexico is a lighter sand than beach sand and it blows all over with just a little wind and creates these great dunes. The sand is in the air so it always looks like it is blowing in the wind. 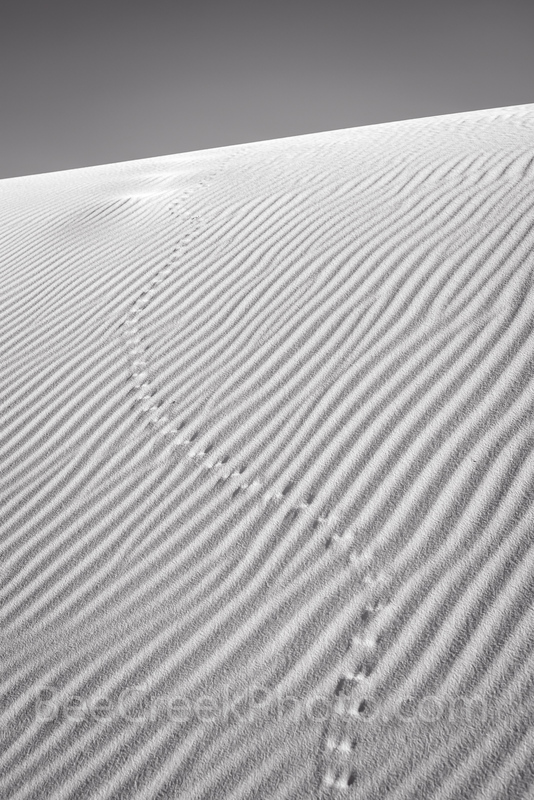 This is a vertical capture of this sand dune. Photo © copyright by Bee Creek Photography - Tod Grubbs / Cynthia Hestand.